When someone asks me where I’m from, particularly someone in India, I struggle to come up with a definitive answer. I can’t say ‘India’, an easy enough response when I lived abroad, but here in India I don’t really have an identity rooted in any single place. Years ago, I might have said I’m from Hyderabad, but I can’t quite call it home any more. I was born in Delhi but I don’t live there, I live in Pune, but I’m not Maharashtrian, I grew up in Hyderabad, but I’m not Andhra, I’m a Bengali but have never lived in Bengal. You might say I’m from nowhere and everywhere, a prabashi in every sense. Earlier this month, I returned after what seems like ages to Calcutta, a city I suppose I could claim to belong to as much as any other, a place I used to visit every year. I didn’t have much time on this trip to take in the city through my lens, but I did sneak in one morning’s worth of some street photography. I wanted to catch this tremendous city waking up and going to work, its denizens going about their daily affairs. Calcutta habitually rises early, a consequence of being the easternmost metropolis in a large country with a single time zone. In the summer, daylight breaks at 4:00 AM at one end of the country and 6:30 AM at the other. So I woke up at 4:30 to take the bus to Prinsep Ghat on the banks of the Hooghly, a bus already packed to bursting by 5:15 in the morning. Standing room only. By the time I made it to Prinsep Ghat, it was too late. The early morning bathers had gone, the sun was already well above the horizon, and any sign of fog on the water had long since dissipated (note to self: January, not May). Undeterred, I took another bus to the narrow lanes of North Calcutta, and after a quick breakfast, I ventured out with renewed vigour to tackle the city again. 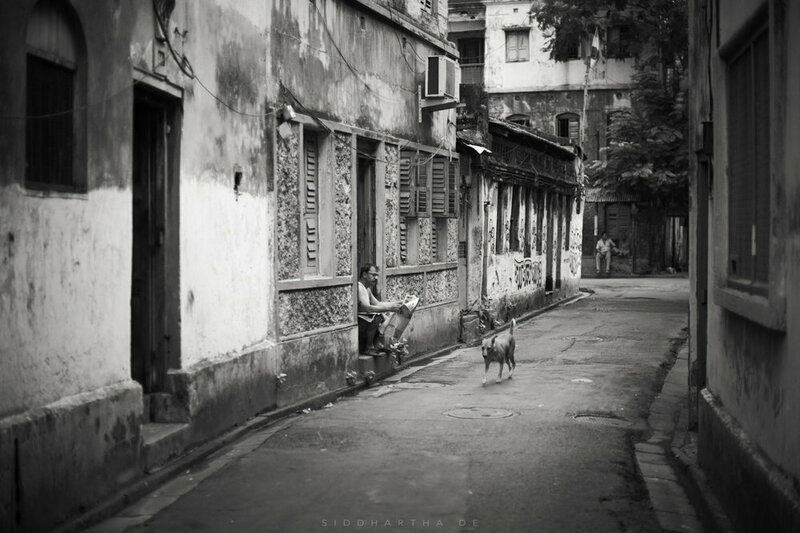 Life spills out from every home, every storefront, every form of human habitation onto the streets, and it is here that Calcutta is best experienced. It is a wonderful place for a street photographer, with shutter finger opportunities supplied in spades by the unique amalgamation of a history of social and political upheaval combined with the decaying fabric of Empire. It is still, simultaneously, the grand old dame of the British Raj and the Kolkata of the local paras. It still offers you the sublime and the ridiculous in the same instant. Tranquility, one moment, and chaos the next. A 19th century church on a street with a Victorian name provides a backdrop to a Bihari exile waking up from his mat on the footpath outside to sell his wares – cheap wallets, cheap t-shirts, cheap electronic goods – from a hole in the wall not far away, and colonial convents and missions lend their outer walls to belligerent packs of mangy mongrels reestablishing their tenuous hierarchies from the night before. The tangible pulse of Calcutta waking up to another day: the newspapermen and milkmen making their morning deliveries, the fruit and vegetable vendors stocking their pushcarts to ply their trade in the local neighbourhoods, women gathering around the communal water hand-pump with their brightly coloured buckets, tea stalls coming to life, barbers setting up their humble streetside establishments, the Bengali Babu reading the morning paper, forming his political opinions on the state of the world, opinions he will passionately debate with his equally opinionated comrades during his adda session over a cup of tea at the corner stall. Life spills out from every home, every storefront, every form of human habitation onto the streets, and it is here that Calcutta is best experienced. More than any other city in India, Calcutta has resisted the temptation to change, to emulate something it isn’t. Political regimes and the onslaught of modernity – new highways, flyovers, malls and skycrapers – may have given it a superficial makeover, but its soul remains untouched. It is quintessentially, unapologetically and unashamedly Bengali, a city defined by its people, one that prides its heritage and culture above all else. It expects to be taken at its own pace and on its own terms, and still has the same unhurried pace of life and disdain for commerce it ever did. Boroline, Odomos and Suthol still rule the streetside hoardings, outnumbering those advertising Apple, Jaguar and Levi’s. You still see the rickshaws in the neighbourhood galis, carrying chattering girls home from school. Bright yellow Ambassador taxis still ply the streets, their garrulous drivers sticking their elbows out of open windows. The trams lumber along as they always did, their bells clanging. 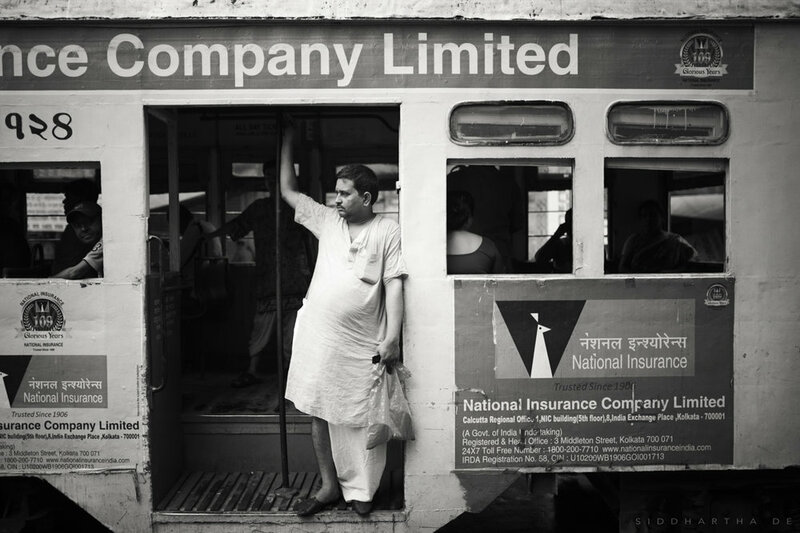 And the bus conductors still welcome you on board by bellowing the names of every stop along the way – Behala, Tollygunge, Kalighat, College Street, Park Circus, Shyambazar, “Splanade”, Howrah, Gariahat – as if their lives depended on it. 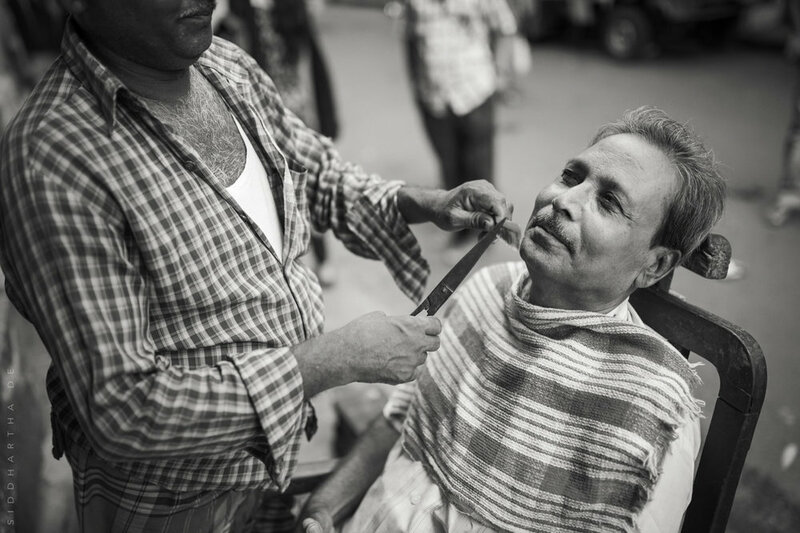 More than any other city in India, Calcutta has resisted the temptation to change, to emulate something it isn’t. I have been a regular pilgrim to Calcutta for as long as I can remember; my memories of the city go back to early childhood. It is a city I associate with grandparents and aunts and uncles and cousins, with yellow Ambassador taxis and rickshaw pullers, mini-buses and trams, teeming markets and sophisticated bistros, neighbourhood football matches and cricket on the Maidan, nor’westers and rain, and, more than anything else, food. 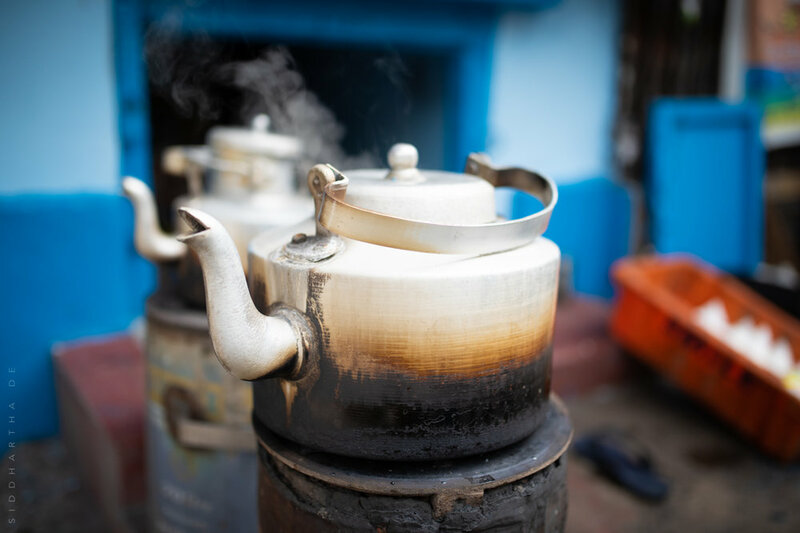 The smell of my grandmother’s kitchen, of paanch phoron sputtering in mustard oil, of luchi and aloor dom and shukto and maachher jhol and kosha mangsho. Of sandesh, rosogolla, chhanar payesh and mishti doi. Of jhaal muri, phuchka, ghugni and momos in the streets and bylanes. Of tea and cakes in Park Street, of bhetki paturi at Kewpie’s and devilled crabs at Mocambo. Of whisky and cigarettes on my aunt’s terrace, of Pujo, of Christmas, of everything Calcutta means to me and always will. My next trip can’t happen soon enough.